Perhaps you've noticed that I have an intense and wild love affair with the stone fruits of summer. It has, in fact, been going on for quite a while and started with childhood memories like this. Juicy peaches and velvety apricots, sugary plums and sweet-tart cherries are what makes summer summer. Last week I found some enticingly beautiful organic white peaches at the market and, as usual, came home with much more than we could ever eat. So I decided to turn the over-abundance into something rich, creamy, and perfectly spiced. And what's simpler than a Peach Clafoutis? If you've never had clafoutis before, it's a traditional French dessert of fresh fruit (cherries are authentic) baked in a silky batter. A cross between a custard and a cake, the addition of a small amount of flour gives the clafoutis the body and stability of a cake while still retaining a custardy feel. I find that people either love or hate the texture. Eve and I happen to love the creamy, rich egg batter, very similar to that of a crepe, but Connor claims it's too squishy. C'est la vie. This recipe calls for four fresh, organic peaches; however, if you have children at home like mine you may want to start with eight. They gobbled up the slices just as soon as I cut them. As I was putting this in the oven, the sky began to darken with approaching thunder clouds. The muted sunlight turned ominous and the wind began whipping erratically, blowing the billowy curtains into the house, then violently sucking them back out again. By the time the clafoutis was finished, it was raining and the house had cooled so much that we didn't mind a nice warm snack for le goûter. I tend to think of Clafoutis as a snack, but technically it's a dessert. I've even heard that some lucky people eat the leftovers for breakfast. Unfortunately, in my house there is never anything left over, so I haven't had the opportunity. However, if your looking for a quick, easy, and dare I say healthy, sweet treat after dinner to enjoy while the rain is falling and the sky is dark and cool, this is it. Preheat your oven to 350 F (175 C). Butter and flour an eight inch baking dish. In the blender mix the milk, eggs, sugar, flour, vanilla, cinnamon, salt, and cloves. Blend on high speed until well mixed and frothy. Pour the batter into the baking dish and arrange the peaches on top. They will sink to the bottom, but rise as the clafoutis bakes. Sprinkle the peaches with the turbinado sugar. Bake for 50 - 60 minutes, until it has puffed up and a toothpick inserted in the centre comes out clean. Allow the clafoutis to cool for at least 30 minutes before slicing. Serve warm. Absolutely gorgeous. I'm pinning this right now. Please don't forget to like us on Facebook Thank you for linking to Foodie Friday! So accomplished - classic French. I found this via Simple Living with Diane Balch. I linked in a spicy and crunchy coleslaw. Cheers. Thanks, Carol. I just read your coleslaw recipe. The combo of red chilli and corn sounds delicious. What a nice twist on traditional coleslaw. Have a great day. You always make everything look so beautiful. This is a wonderful recipe that we will just love. Hope you are having a great summer week end and thank you so much for sharing with Full Plate Thursday. Thanks, Miz Helen! I hope you enjoy! Have a wonderful weekend! I love something that is so different from our mainstream of foodies:) This looks so amazing and and I am pinning it to try later. Thank you for sharing this amazing recipe at Freedom Fridays. Thanks, Evelyn! And thanks for hosting Freedom Fridays. I am just learning about french cooking from my Fridays with Dorie cooking group. This tart with a creamy custard sounds amazing. 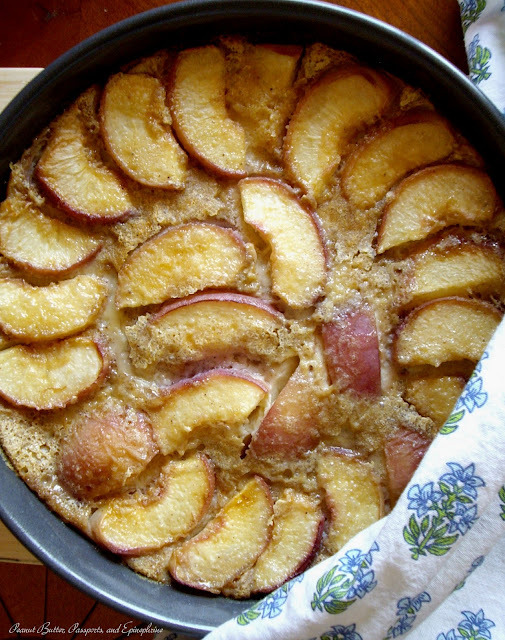 Our last home had peach trees, and I collected many recipes to use them up, but I have yet to make a clafoutis (I'm not even sure how to pronounce that correctly!) It looks delicious and has such a lovely presentation - I will have to make it this summer!! Thanks for sharing at Mangia Mondays - I'm going to feature it today! 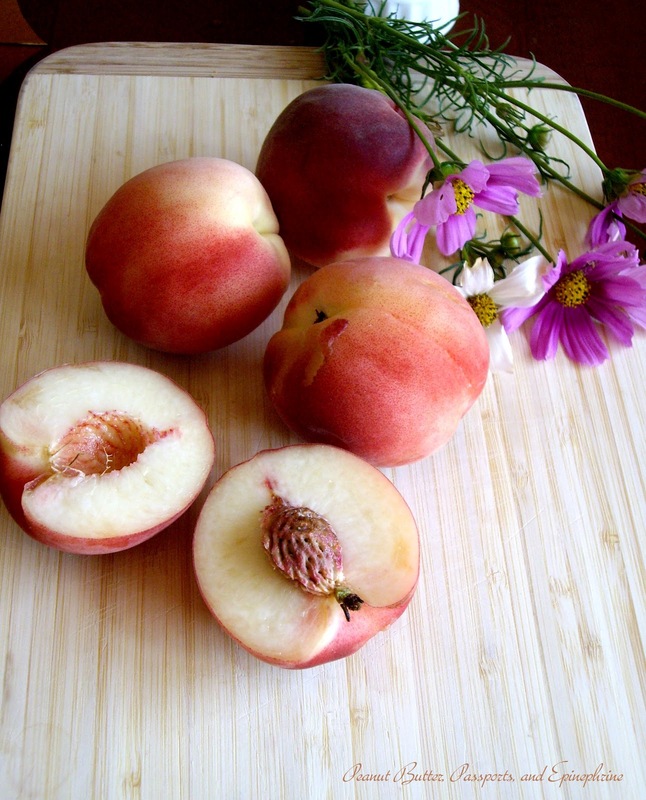 When I was a child, my grandfather had peach trees with the most amazing, gigantic peaches. I love to cook with peaches because it reminds me of him. Thanks for featuring it! 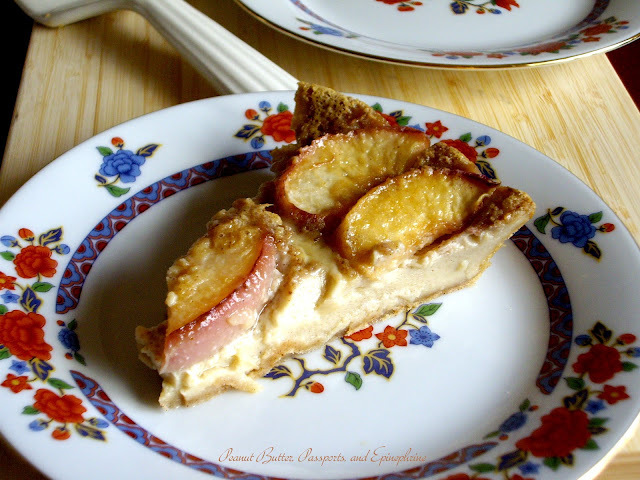 Your Peach Clafoutis looks wonderful - what a delicious recipe! I'd love to eat a piece of this wonderful summery treat for breakfast...or anytime really! Thanks, April. It does seem like a perfect breakfast food. beautiful pictures! your recipe sounds really delicious! Thanks so much for featuring it, Michelle! This should be fairly easy to convert to a gluten free version since it only contains a small amount of flour. I'd love to hear about the results!